Online kids channel Toon Goggles (http://www.toongoggles.com), the innovative free portal that provides valuable viewing data to content producers, has signed an agreement with Your Family Entertainment AG (YFE) to bring Ruta Ett’s premiere preschool property, Heroes of the City, to Toon Goggles’ audience this June 2012; it was announced by Stephen Hodge, Executive Vice President of New Media at Toon Goggles. 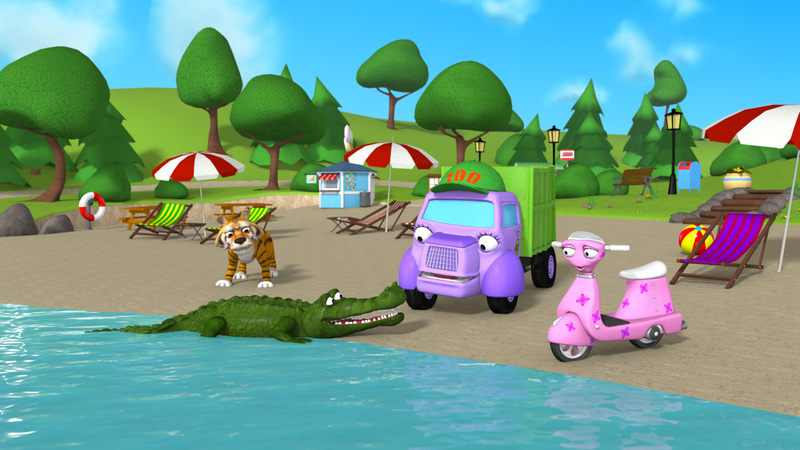 Heroes of the City is a 3D-animated TV series about cute and charming rescue vehicles in a little city where everybody can be a hero. The series is aimed at children 3-7 years and brings a positive message of everyone being needed and that working together can solve even the most difficult problems. Friendship and cooperation are fundamental values in Heroes of the City. The deal grants Toon Goggles exclusive streaming video-on-demand rights for the U.S. and Canada to 26 14-min episodes of the popular television series and 12 Heroes of the City flash video games. “We are excited to bring such a popular and beloved animated series to our preschool audience. Heroes of the City is a stellar example of the kind of safe, age-appropriate kids’ programming we are proud to feature and promote on Toon Goggles,” said Hodge. Also from YFE, Toon Goggles has added 12 more episodes of The Magical Tooth Fairies, a fantastic cartoon series that shows the magic behind the loss of every child’s tooth. The additional episodes complete the first two seasons of the animated children’s series now available at http://www.toongoggles.com. Toon Goggles iOS app is available for download in the iTunes App Store. Your Family Entertainment AG stands for educational, violence free television that promotes values with its balanced family programs. The company has its origins in Ravensburger AG. Since 1981 a library of around 3,500 half hours of children's and youth programs has been developed continuously. Your Family Entertainment operates the award winning payTV channel 'yourfamily' for children and families in German-speaking Europe (KabelKiosk, unitymedia, Arcor digitalTV, Kabel BW, Vodafone digital TV, UPC Austria, Swisscom TV, Deutsche Telekom and Zattoo), In France yourfamily is available through the platforms free and SFR. After winning the HOT BIRD TM TV AWARD in 2010 , the channel has been again nominated for the award for 2011 in Venice, Italy. The company's mobile channels 'yourfamily', 'Cosmo & Wanda', 'Country Mouse & City Mouse', 'RoboRoach' and 'Tales from the Cryptkeeper' can be received on '3' in Austria.